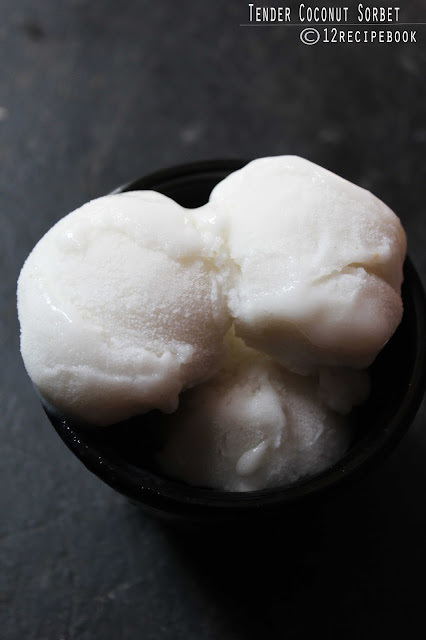 Sorbet is a frozen dessert made with sweetened water in additional with seasonal flavors. Summer is at it's peak and all of them making cool drinks, kulfi's and ice creams to chill. 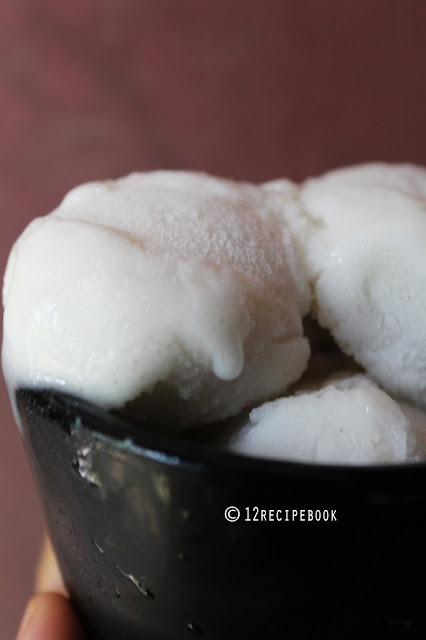 Tender coconut is one of most refreshing summer treat...It can enjoy as it is fresh, by juicing , by making ice cream with it , or by making pudding, etc. 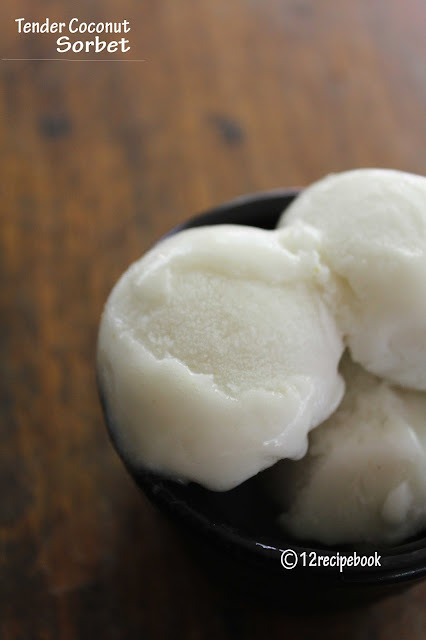 Here is the recipe of easy and delicious tender coconut sorbet with only three ingredients. Take the water and flesh of two tender coconuts. Add them in a blender along with cardamom powder and sugar syrup. Blend until smooth without any lumps. Pour in to a container and freeze for two hours. After that take it out from the freezer and blend it once again until creamy. Freeze it again for another two hours. Blend once again until smooth and creamy in texture. Now freeze for another 5 hours or overnight. Take it out from the freezer for 5-8 minutes at room temperature before scooping. Scoop and serve soon; enjoy!! !